No holiday season is complete unless I’ve made some fudge with my mom. 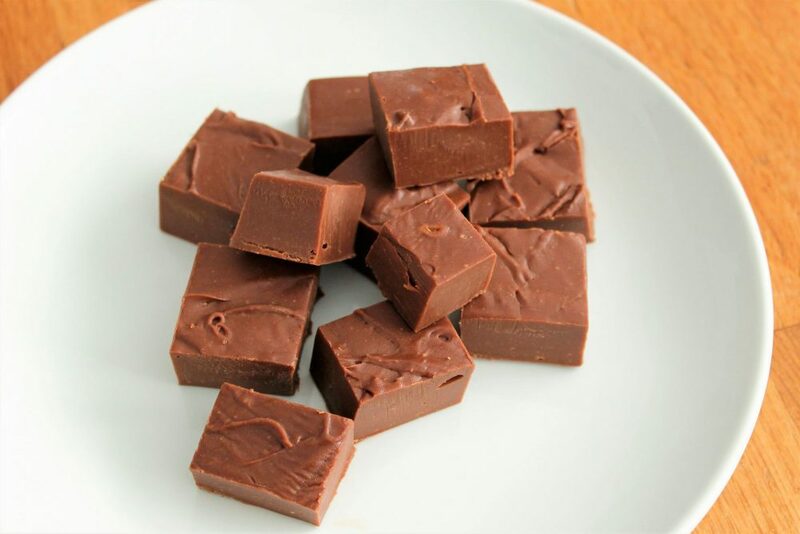 We have the routine recipes we make, usually a traditional fudge recipe flavored with peppermint or orange but when the idea came up to try a fudge recipe with Nutella, we couldn’t resist! 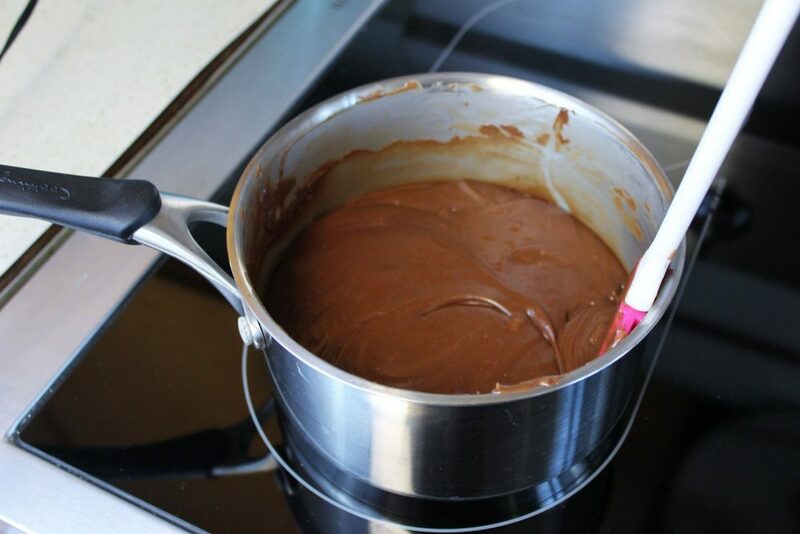 So glad we did, not only is this Nutella Fudge so delicious, it’s the easiest fudge recipe I’ve ever made! 1. 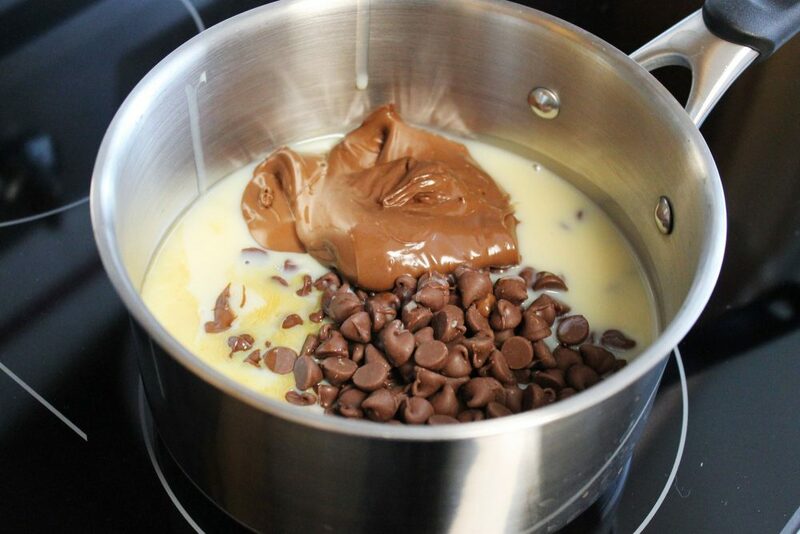 Add all ingredients to a saucepan and heat on stove over low heat until melted and smooth. (How easy is that?) 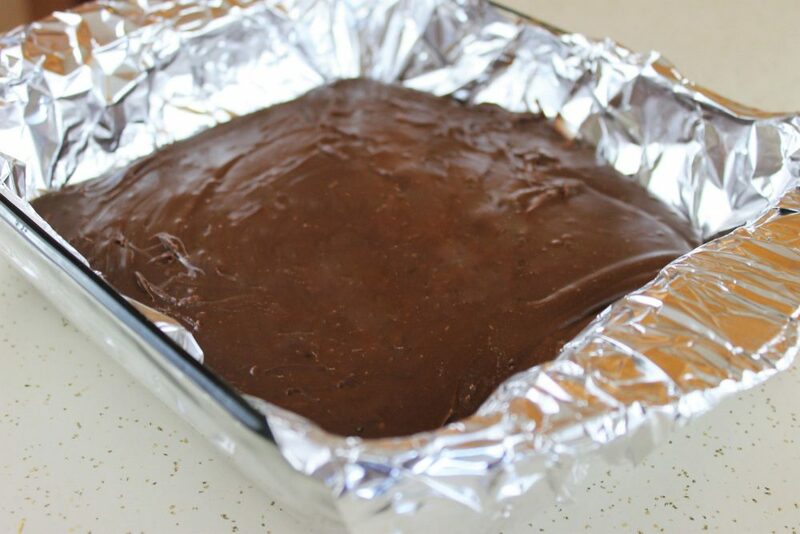 *When I poured in the condensed milk I didn’t scrape out the inside of the can because I didn’t want the fudge to be too thin and not set well. I’m not sure if it mattered, but that’s just what I did this time! 2. 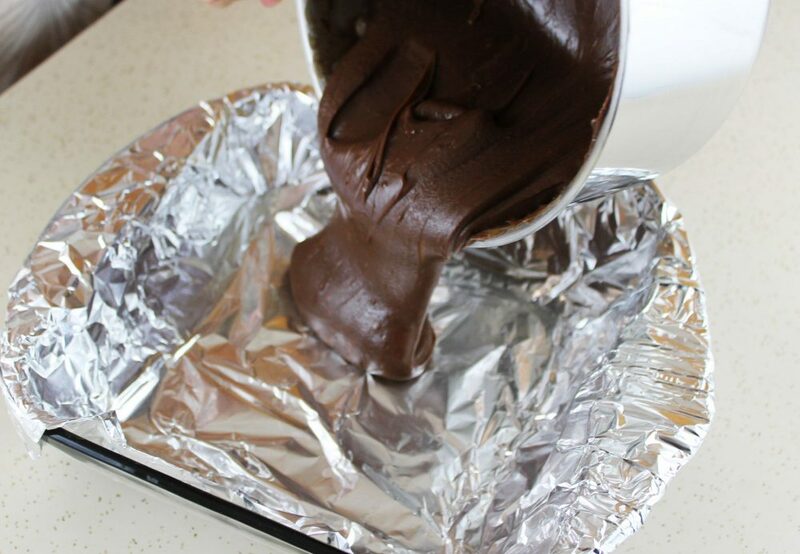 Once the melted fudge is smooth pour it into an 8×8 pan lined with foil (for easy removal). 3. Refrigerate for four hours (or pop into the freezer for 20-30 minutes if you’re in a big hurry!) and then cut and serve! You can store it in an air tight container for up to a couple of weeks (but it won’t last that long!). 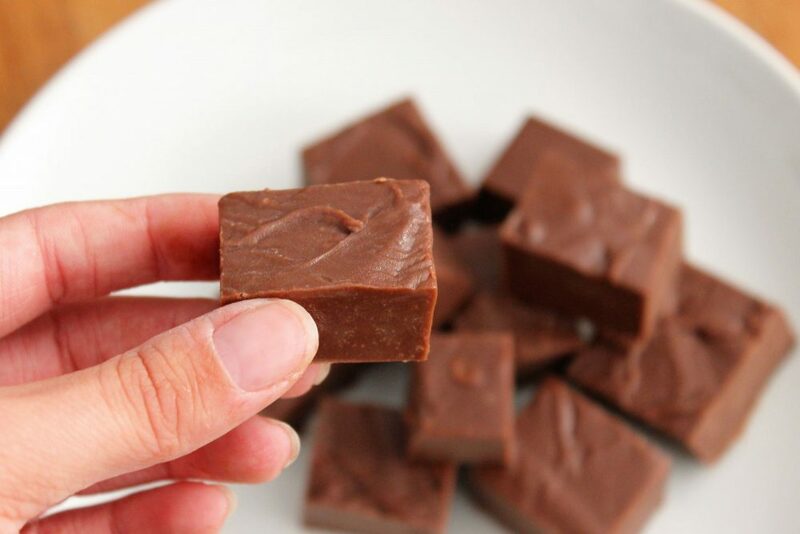 I sometimes find that traditional fudge is almost too sweet for my liking but I think the hazelnut flavor cuts a little of the sweetness making this Nutella fudge so absolutely perfect! I’ll definitely be making this multiple times over the holiday season and I’ll probably try a batch or two with a few drops of peppermint or orange too! 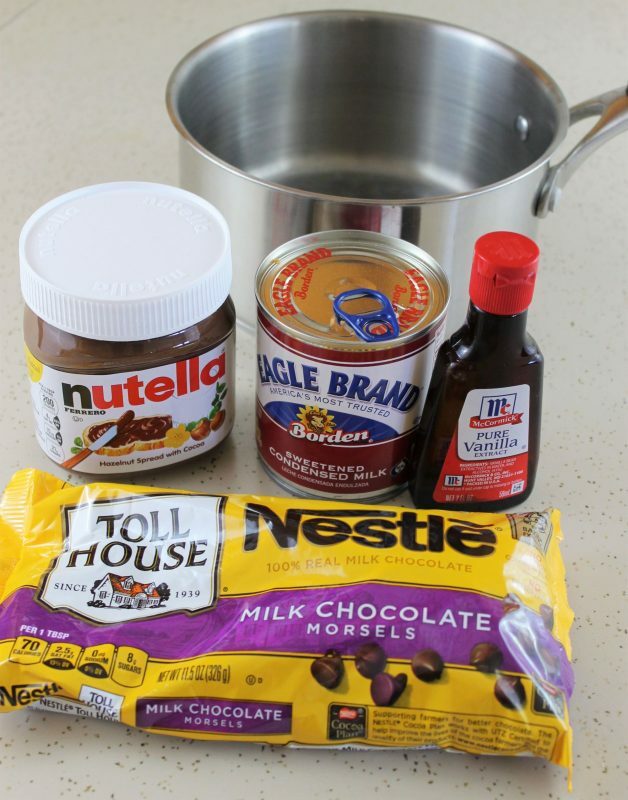 And if you still can’t get enough Nutella in your life (who can) try these no-bake cookies. They’re simply divine! Looking for another quick and easy dessert? This Almond Bark Puffcorn is delicious! This is so easy and simple! I need to make this with my kids – they would love it. I bet this makes a great gift too. That looks so easy and exactly what I’m craving right now. 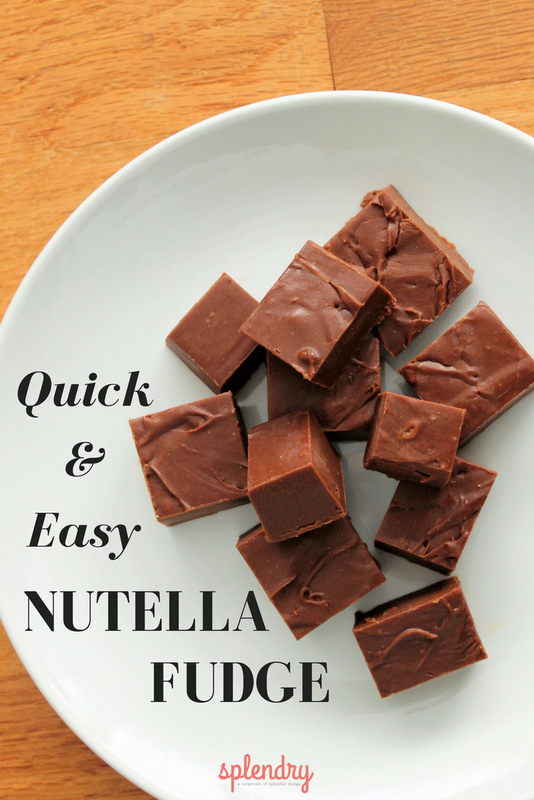 I think I’m making a run for some Nutella to make this asap! Looks so good! Haha, it was almost too easy!